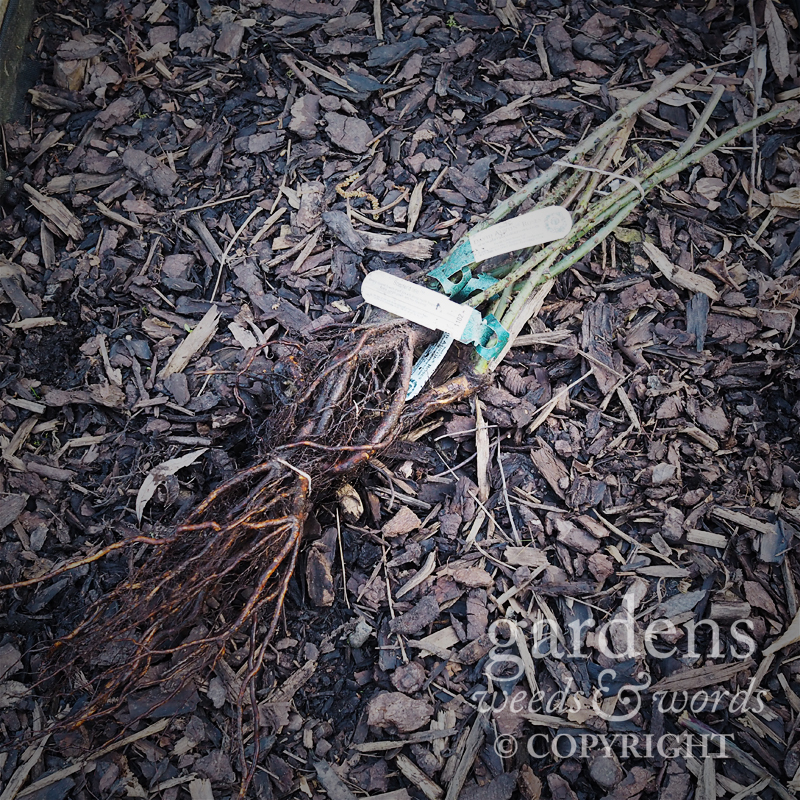 Bare-root roses arrive as a collection of deceptively uninspiring, prickly sticks. They don’t look much just now – a bundle of prickly sticks with a tangle of brown roots. But by the middle of spring, they’ll be transformed into energetic young plants, covered in exquisite flowers. This is the time to buy roses in bare-root form – it’s cheaper than getting them in pots, but they’re only available from November to February. Head over to the David Austin website and fill your boots. Well, your wheelbarrow.